This homemade costume for couples entered our 2018 Halloween Costume Contest. 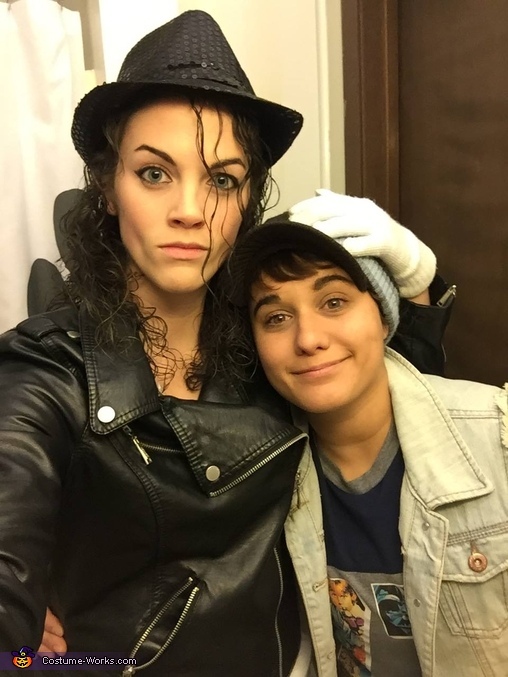 One day after my wife got out from the shower, I looked at her and said "Don't take this the wrong way, but I think you would make a great Michael Jackson". Basically, her hair is perfect with added mousse and some black spray dye, a touch of white powder for her complexion. The only items we needed to purchase were black loafers and a fedora. Thankfully my clothing tub from my awkward tomboy stage paid off pulling off a 12 year old boy look.